The OE-A published the sixth edition of its roadmap at LOPEC. It describes key trends and key challenges for printed electronics technology. It is obvious, that hybrid systems will experience the most significant development in the short and medium term. 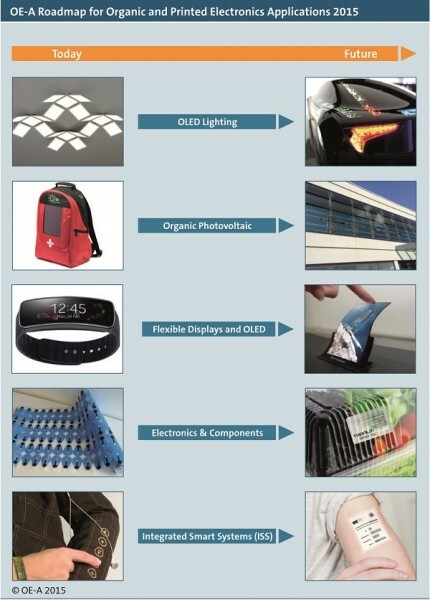 Technology advancements in organic and printed electronics have accelerated greatly in the past years. OLED displays have become a true mass market item. Major industry sectors, such as automotive, consumer electronics, white goods, pharmaceuticals/health care and packaging have embraced organic electronics and are bringing products to the market. Which applications are yet to come and which steps have to be taken next in terms of enhancing the technology is what the OE-A Roadmap is all about; its sixth edition was published by the OE-A (Organic and Printed Electronics Industry Association) on Wednesday at LOPEC. The OE-A Roadmap for Organic and Printed Electronics, updated every two years, represents the knowledge and opinion of the world’s leading printed and flexible electronics experts and addresses technologies as well as applications in the areas of OLED lighting, organic photovoltaics (OPV), OLED and flexible displays, electronics and components, and integrated smart systems. With this sixth version of the roadmap, the OE-A has updated and expanded its view of the development in this field. “Products were already entering the market in a wide range of application areas at publication of the last roadmap in 2013”, OE-A Chairman Dr Stephan Kirchmeyer says. This process has continued. “This is why we can say with confidence that organic and printed electronics has become a growth industry that has already generated significant revenue”, Kirchmeyer explains. Beginning with products that are already available on the market, the OE-A Roadmap predicts the development of new applications. Hybrid systems – denoting the integration of printed and silicon-based components – are an important trend that the roadmap has identified. 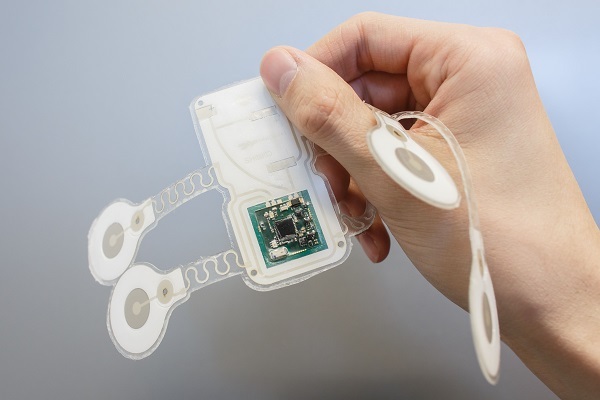 In the short and medium term, products that combine both technologies will increasingly contribute to establishing printed electronics in the market. Important industry sectors such as health care, packaging, automotive, white goods and consumer electronics are incorporating printed electronics and bringing products to market. The Roadmap also identifies products and systems that still require significant development efforts and will therefore become available in the market in the longer term, after 2023. “In the meantime, the technology has achieved enough market penetration to start to qualify as an industry, albeit still a young one”, says Kirchmeyer. Except in consumer electronics, where OLED displays for smart phones and displays for e-readers have become a mass market, market penetration is yet to come in many other areas. The OE-A’s experts expect strong growth in the coming years which will be triggered by new and improved materials, equipment, processes and device design. There are additional areas, where technological barriers, so-called “Red Brick Walls”, have to be overcome; new technological approaches will be required to overcome them which is described in the Roadmap as well.